Please join us in the forum to discuss a digital sampling oscilloscope add-on for the open source logic analyzer (currently referred to as project SUMP PUMP). 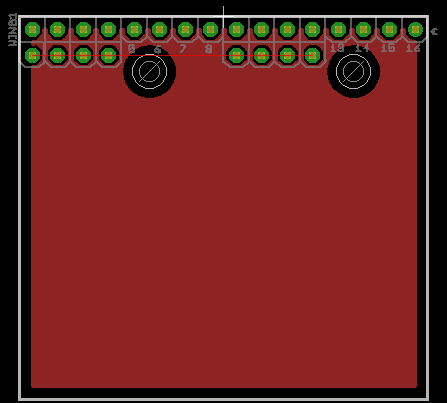 Our general goal is to design an inexpensive expansion board that samples analog voltages at 50MHz+. The combination of a logic analyzer and sampling oscilloscope is a powerful debugging tool. The logic analyzer displays changes in signal states, the oscilloscope reveals how clean the transitions are. We’re in the process of choosing a parallel ADC chip and discussing analog front-end designs. Feel free to make requests, suggestions, or just follow along. This entry was posted on Thursday, January 7th, 2010 at 11:34 am	and is filed under logic analyzer. You can follow any responses to this entry through the RSS 2.0 feed. You can skip to the end and leave a response. Pinging is currently not allowed. I knew this would happen… I’ve just ordered a DSO off ebay, now there’s gonna be a far cheaper alternative. How far away is the Sump Pump from a release by the way? Have you decided on the name yet? The PCBs for the SUMP PUMP shipped on the 28th of December, but the postal slow-down out of China over the holiday is making them take forever to get here. I hope there here really soon, or I’ll try to have another batch made locally. We’ll hold off on the name until we build the first prototype. Just bought an OLA, with the hopes that a DSO wing was in the works. Is this still a possibility?